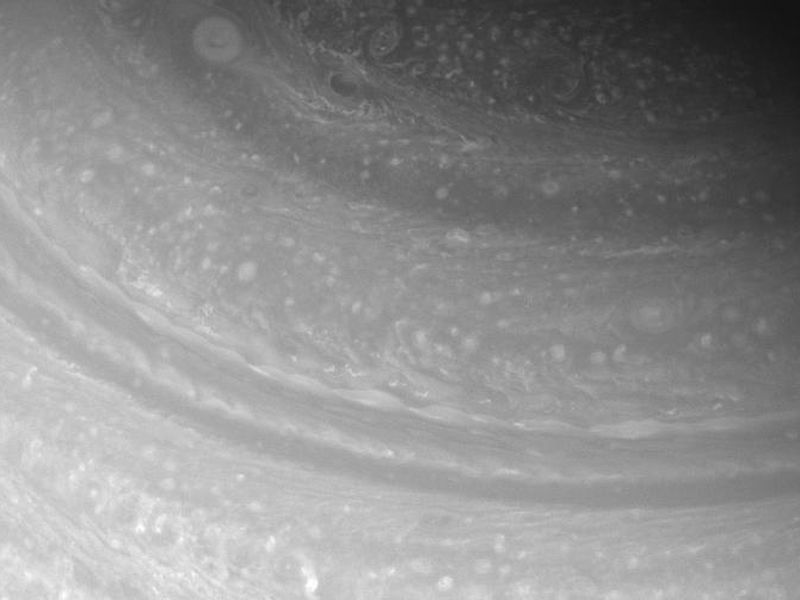 Diverse cloud forms shift and spin in the far northern reaches of Saturn. 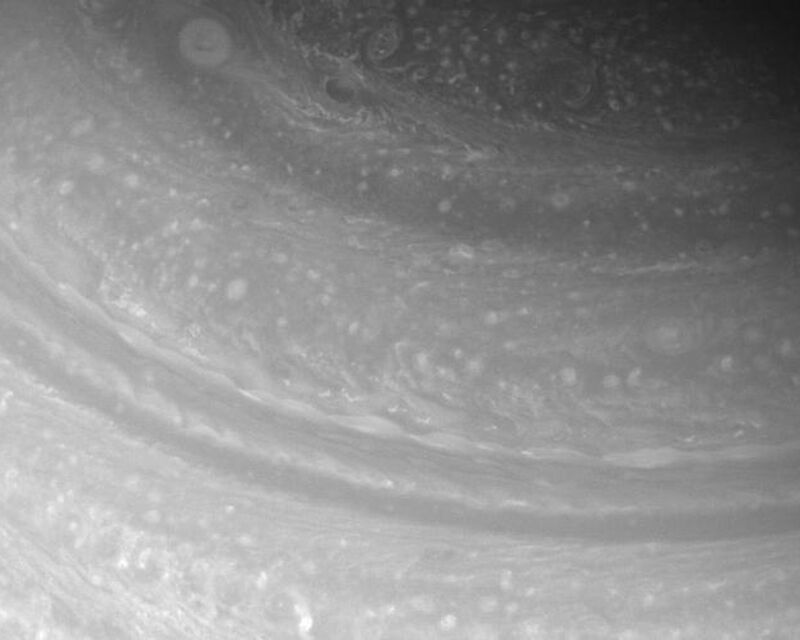 The image was taken with the Cassini spacecraft wide-angle camera on Feb. 18, 2008 using a spectral filter sensitive to wavelengths of infrared light centered at 752 nanometers. The view was acquired at a distance of approximately 1.2 million kilometers (757,000 miles) from Saturn. 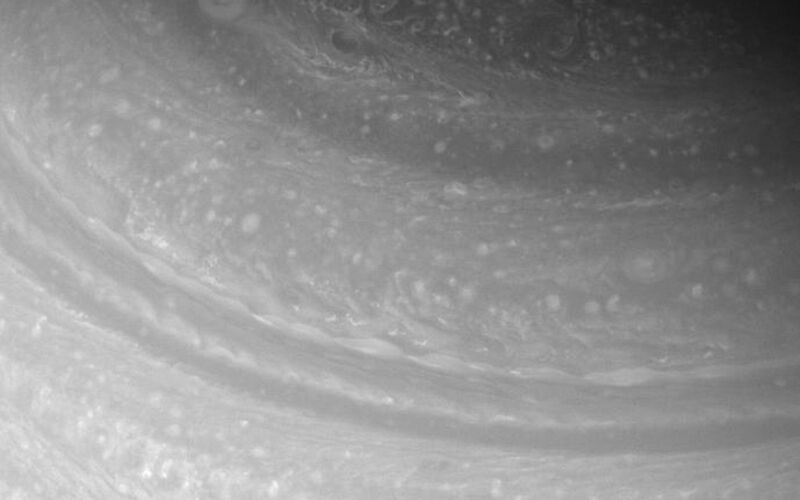 Image scale is 69 kilometers (43 miles) per pixel.